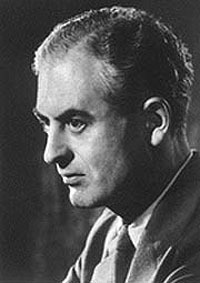 Brazilian-born British zoologist Peter Medawar studied under Howard Florey, and showed that cells can "learn". His most famous research was triggered by soldiers' rejection of skin grafts, and he noted that rejection rates declined when donors were related to recipients, declined further if the relationship was close, and disappeared entirely in identical twins. In a 1951 paper co-authored by biologist Rupert Billingham (1921-2002), Medawar described a series of experiments with rats which demonstrated what is now called acquired immunological tolerance — that each individual's "rules" of cellular rejection are defined at an early age, and that rejection can be dramatically decreased if, before birth or while very young, individuals are injected with cells from others of their species. His work was of fundamental importance to modern medicine, underlying modern principles of organ transplants and changing the practice of immunology from merely understanding and dealing with the mechanisms of immunity and rejection to altering these factors. Medawar won the Nobel Prize for Medicine in 1960, shared with Frank Macfarlane Burnet, whose related theory was confirmed by Medawar's experiments. He also studied the evolution of aging, graft-versus-host disease, and human leukocyte antigens. He suffered a massive stroke at the age of 54 which left him unable to lecture, but he remained active academically until shortly before his death almost two decades later. His autobiography was titled Memoirs of a Thinking Radish, not as an allusion to his disability but "not to claim for myself as an author any distinction more extravagant than membership of the human race." He was a strong supporter of England's National Health Service, which he considered society's first significant step forward in more than a century, and he admired the plays of W. S. Gilbert and Arthur Sullivan. His wife, activist and author Jean Medawar, was an advocate for contraceptive rights when such a stance was extremely controversial, and later served as Vice President of the Family Planning Association. Raised in the Christian Uniat Church, before becoming agnostic as an adult.